Alan Singer is a historian and Professor of Secondary Education at Hofstra University, author of "New York and Slavery: Time to Teach the Truth" (Albany, NY: SUNY Press, 2008), and editor of the "New York and Slavery: Complicity and Resistance" curriculum that received the 2005 National Council for the Social Studies program of excellence award. 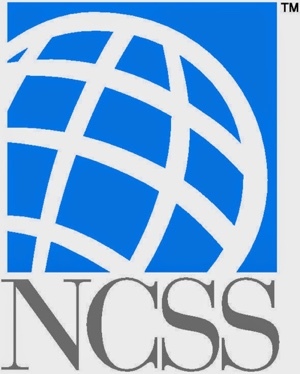 I am no longer a member of the National Council for the Social Studies (NCSS), although I continue to receive their publications and I am active in state and local social studies councils. I am still a strong supporter of social studies education and a social studies approach to history, the idea that to make meaning of the past, understand the present, and shape the future, students must examine relationships between all three. As a historian, I was influenced by E. H. Carr’s thinking about the past and present as part of a continuum that stretches into the future. In What is History? (1961), Carr argued that concern with the future is what really motivates the study of the past. As a teacher and political activist, I also strongly believe that schools should promote active citizenship as essential for maintaining a democratic society. At least on “paper,” the NCSS shares this goal. My problem is that in an effort to survive, the NCSS has largely abandoned its commitment to these ideas, twisting itself into a pretzel to adapt to national Common Core standards and to satisfy influential conservative organizations that they are not radical, or even liberal. I suspect, but cannot document, that the organization’s membership has precipitously declined during the past two decades and it has increasingly depended financial support for its conferences and publications from deep-pocketed traditional and rightwing groups who advertise and have display booths. In an effort to counter the Common Core push for detextualized skill-based instruction and assessment that has further marginalized social studies education, the NCSS is promoting what it calls “College, Career, and Civic Life (C3) Framework,” a campaign I initially supported. It recently distributed Teaching the College, Career and Civic Life (C3) Framework: Exploring Inquiry-based Instruction in Social Studies (NCSS Bulletin 114) edited by Kathy Swan and John Lee. However, through its choice of partners, its rigid adherence to Common Core lesson guidelines, and the sample material it is promoting, the NCSS has virtually abandoned not just meaningful social studies education, but education for democracy and citizenship as well. According to the editors of the bulletin, who were also the primary authors of the C3 Framework, “We engaged fifteen of the best social studies curricular organizations in taking the ‘C3 Instructional Arc Challenge.’ The partners were asked to create lessons that would encompass the whole of the C3 Inquiry Arc, from questioning to action . . .” Coincidently, only two of the fifteen organizations, the National Geographic Society and National History Day, were involved with the creation of the initial C3 Framework. The new group included non-profit organizations, The Colonial Williamsburg Foundation, Gilder Lehrman Institute of American History, Bill of Rights Institute, Center for Economic Education and Entrepreneurship at the University of Delaware, Facing History and Ourselves, Newseum, and Mikva Challenge, and government affiliated organizations, Library of Congress, Federal Reserve Bank of St. Louis, National Museum of American History, National Museum of the American Indian, National Archives and Records Administration, and the National Constitution Center. My biggest problem with the C3 Framework as presented in this new document on instruction is its attempt to adopt a fundamentally flawed Common Core approach to social studies and history based on the close reading of text without exploring historical context. In a Huffington Post column I described how Common Core as it is being implemented will mean the end of history. Each lesson in the C3 Framework is organized around four “Dimensions,” the first three of which are essentially drawn from Common Core. However, the key “Dimension” is number 2. In the C3 Framework inquiry approach, students start in Dimension 1 by “developing questions and planning inquiries,” however the inquiry is really already “planned” because material they use is pre-selected. It is also not clear what their questions will be based on since they do not necessarily have any background on the subject. In Dimension 3 students evaluate sources using evidence, but again, devoid of historical context. Dimension 4 is supposed to be C3’s chief addition to Common Core. In Dimension 4 students are supposed to plan activities and become involved in civic life, although of course their options have again already been pre-prescribed. For example, “Should Citizenship Be Revolutionary?” for grades 6 to 8 (and higher) by The Colonial Williamsburg Foundation (9-18) is organized around a “close reading” of the Declaration of Independence in Dimension 2. In Dimension 1 students engage in a debate that supposedly lies at the heart of their identity as Americans, “just how revolutionary was the American Revolution?” Unfortunately the debate proceeds without students first studying about the revolution. Instead they use the dictionary to look up definitions for citizenship (the state of being vested with the rights, privileges, and duties of a citizen) and revolutionary (of, pertaining to, characterized by, or of the nature of a revolution, or a sudden, complete, or marked change.). The first “discovered” definition is of little use because it is circular. Citizenship means you are a citizen. However the second “discovered” definition is the more problematic because it has been washed clean of warfare, dislocation, and direction. Revolution is sterilized so it becomes any “marked change,” like revolutions in style or food preparation. In Dimension 2, as they read the text, which sixth graders and many eighth graders will find difficult, students discuss “How was citizenship revolutionary in 1776?” The question requires them to assume that colonists had already formulated a concept of citizenship, which I do not believe they had, a concept of nation, which they definitely did not, and an understanding that somehow what they were doing was “revolutionary,” which was still being debated. This is a document that promised “all men are created equal” but tolerated slavery, the lack of rights for women, and the concentration of power in the hands of the economic elite including slaveholders. But because it is a revolutionary document and citizenship is a revolutionary idea, these things would inevitably change, even though in a conservative tone the Declaration explained a “decent respect to the opinions of mankind requires that they should declare the causes which impel them to the separation” and called for “prudence” before acting to replace tyrants. The word citizen appears only once in the document, in the grievances against King George, and is never defined. I argue that the revolutionary notion of citizenship is much more a part of the French Revolution, but that requires some knowledge of history. Some of the organizations involved in writing the C3 Frameworks have positions so politically skewed to the right that NCSS should be embarrassed about including them in the project. In this category I include Gilder Lehrman, The Bill of Rights Institute, and The Center for Economic Education and Entrepreneurship (CEEE). In the past I have written about what I considered Gilder Lehrman’s flawed history of the Emancipation Proclamation and the way its explanation of slavery minimizes American involvement and focuses instead on the fact that it ultimately ended in the United States, a quarter of a century after it ended in British colonies and at enormous cost. The Bill of Rights Institute is an arm of the Koch brothers political empire and champions their rightwing view of America’s founding documents. CEEE, rather than teaching students about the workings of capitalism, problems with inequality, the relationship between production, regulation, and environmental problems, globalization and poverty, and to think critically is a fan club that promotes a fantasy version of capitalism focusing on “how markets work; how conscientious spending, saving and investing can lead to financial security; and how innovation through entrepreneurship is a possibility for all.” Conspicuously missing from the group of contributors is the Zinn Education Project which would have provided a radically different point of view. Gilder Lehrman provided a lesson on “What does liberty look like?” (19-27) for grades K-2 where children learn about the symbols in the flag and look at images of the Statue of Liberty. Their civic activism is explaining the importance of symbolism and of liberty. Curiously the lesson never engages students in a discussion of the positive and negative role of patriotism or whether the symbols we choose actually represent the way we live. If Gilder Lehrman’s curriculum writers actually wanted children to actually think about symbolism, patriotism, and liberty, or if they actually knew anything about social studies in the younger grades, they could have recommended picture books such as Dr. Seuss’ The Butter Battle Book. The Center for Economic Education and Entrepreneurship lesson for grades six through eight on the impact of technology on productivity and standards of living (47—55) states very clearly that “technology increases productivity” which means “more of the goods and services that increase standards of living.” In addition, “benefits have generally accrued not only to the producers but also to other workers and society as a whole.” I am not sure how the NCSS justified including this lesson in the C3 package. Based on these self-evident truths, economic inquiry, research, discussion, debate, and action are unnecessary. I am a strong supporter of the Facing History and Ourselves approach to holocaust education. They use the European Holocaust as a starting point to study the causes and effects of similar horrific events around the world. For the C3 Framework they developed a lesson on the “fragility of democracy” and whether our choices matter (87-97). This is a well-developed lesson, but its Dimension 4 civic activism is limited to framing additional questions, writing journals, and encouraging students to think differently. I do not know much about Newseum, only that it started as the foundation arm of the Gannett Corporation, runs a museum in Washington DC that costs adult visitors about $25, and has been repeatedly charged with misappropriating funds. The Newsum contribution to the C3 Package (111-119) is titled “What Don’t You Know About Civil Rights?” and is based on a digital learning module on their website. Its Dimension 4 call to action involves creating a news report, making a map, and creating a presentation on local civil rights activities. They are all good teaching ideas, but none involves civic activism. The Mikva Challenge is a Chicago area organization that promotes student voice and involvement in electoral politics. My major critique is that it is heavily involved in selling a quite expensive curriculum packages. The group’s motto is “democracy is a verb,” and it believes “the best way for young people to learn to participate in a democracy is to actually participate in our democracy,” however its contribution to the C3 teaching package (149-156) does not go beyond encouraging students to vote and to work to increase voter turnout. What we have in the C3 Framework is standard teaching at best but a lot of poor teaching and propaganda as well. Instead of challenging Common Core, the NCSS begs to be included. Instead of presenting multiple perspectives, it sells advertising in the form of lessons to its corporate and foundation sponsors. But worst in their own terms, in a time of mass protest against police brutality by high school and college students across the United States, active citizenship in a democratic society is stripped of meaning and becomes little more than idle discussion and telling student to vote when they are eighteen.